Set on 100 acres of rolling, conserved farmland, Sweet Berry Farm offers a scenic backdrop to your picture-perfect wedding day. 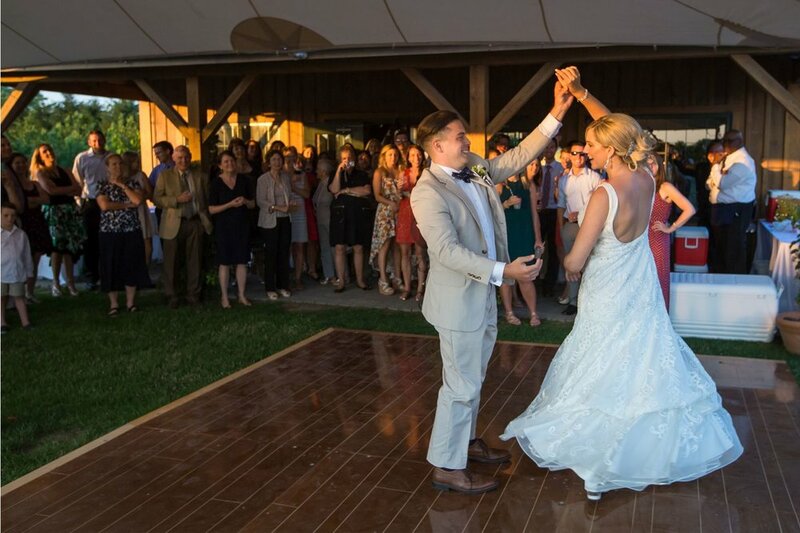 Sweet Berry Farm offers two ceremony and reception locations that can be customized to suit the occasion: The Orchard Field and the Post-and-Beam Barn. Rustic and romantic, an elegant event at Sweet Berry Farm is not soon forgotten. Sweet Berry Farm offers a scenic backdrop to your picture-perfect wedding day. Just a short ride from downtown Newport and area beaches, the farm’s sloping fields, orchards, and open space will magnify the romance of your big day. Create a unique experience for you and your guests while helping to sustain a working, family-owned farm. Whether guests are local or from out-of-town, they’ll enjoy all the area has to offer. Sweet Berry Farm offers two ceremony and reception locations that can be customized to suit the occasion. The Orchard Field and the Post-and-Beam Barn. Our expert on-site coordinator, Jessica Pohl, is available to ensure a successful event. Contact Jessica at (401) 556-8803 or via email for a tour of the property. Our renowned culinary team will prepare seasonal pies, cakes, cupcakes, and other baked goods in our farm kitchen with care and respect for local flavor. Homemade jams made with fruit grown on the farm are available to you as wedding favors for your guests. Savor the setting with outdoor field games. The orchard field offers ample space for playing croquet and bocce. Bordered by apple orchards, a hydrangea hedge, picturesque curly willow trees, and sloping fields, our field can accommodate anywhere from 20 to 400 guests. Please note: We only allow DJs and / or acoustic music. Dance music must end at 9:15pm, with slow dance or cocktail-style music permitted until 9:25pm. 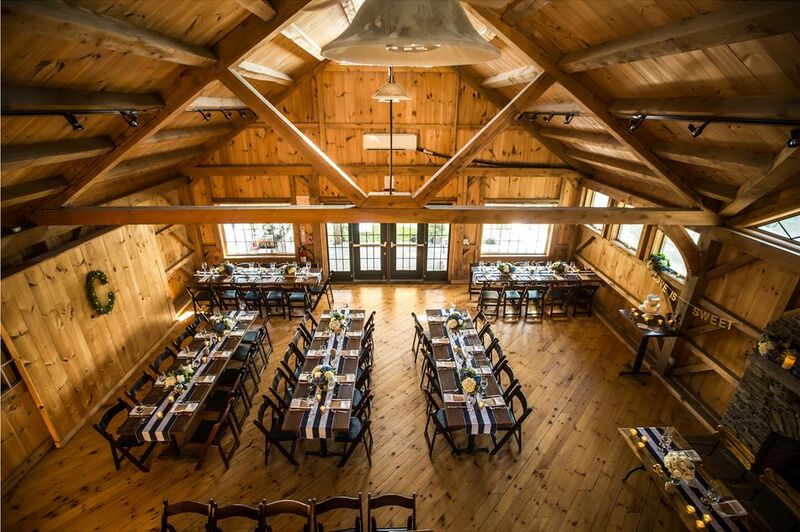 With an iconic Fieldstone fireplace as its centerpiece, the rustic elegance of our post-and-beam barn is an ideal setting for a rehearsal dinner, small wedding, or intimate dinner party. The space accommodates up to 70 people with a small dance floor and up to 90 people without a dance floor. Please note: We only allow DJs and / or acoustic music. Dance music must end at 9:45pm, with slow dance or cocktail-style music permitted until 9:55pm. Please note: Fires are not permitted in the fireplace. The rental fee does not include tents, catering tent, catering, rental services, entertainment, valet parking, and other services, which are the responsibility of the licensee. Sweet Berry Farm requires licensed beverage and food service for all private events. Please refer to our Preferred Vendor List [link to preferred vendor page]. Please note: only Newport Tent Company or Sperry Tent can be used if a tent is needed, and only McGrath Clambake tents, if they are the caterer. To secure the date, a 50% deposit is required when the rental contract is signed. The balance of the fee and a $500 refundable damage deposit are due 60 days prior to the event date. If no damage has occurred after the event or if the event is canceled, the damage deposit will be refunded. Additionally, if the event is canceled more than 60 days prior to the event date, the initial rental deposit will be refunded except for a $350 processing fee. If the event is canceled within 60 days of the event date and the final deposit has been made, only the initial deposit will be kept by the lessor. Access to the event location for tent installation and vendor set-up is allowed one day prior to the event date, based upon availability. The Barn is available for set-up two hours prior to the event. An hour is allowed for breakdown and clean-up after the event. All trash must be removed from the site. Contact our on-site coordinator, Jessica Pohl, to arrange a tour of the property. We look forward to helping your plan your special day.